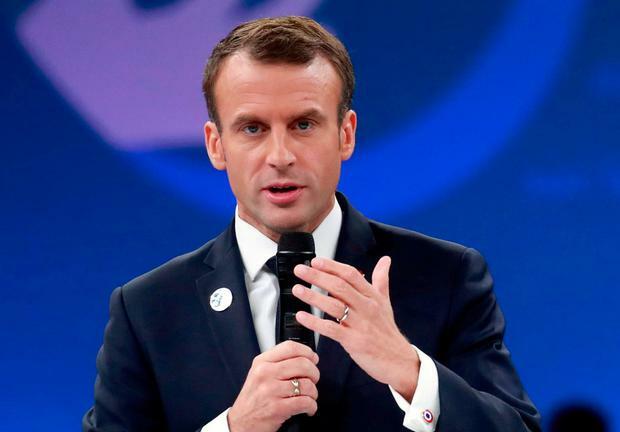 French President Emmanuel Macron led tributes yesterday to the millions of soldiers killed in World War I, using an emotional ceremony in Paris attended by scores of world leaders to warn against nationalism a century on from the conflict. US President Donald Trump, Russian President Vladimir Putin, German Chancellor Angela Merkel and dozens of monarchs, princes, presidents and prime ministers joined Mr Macron to mark the moment the guns fell silent across Europe 100 years earlier. 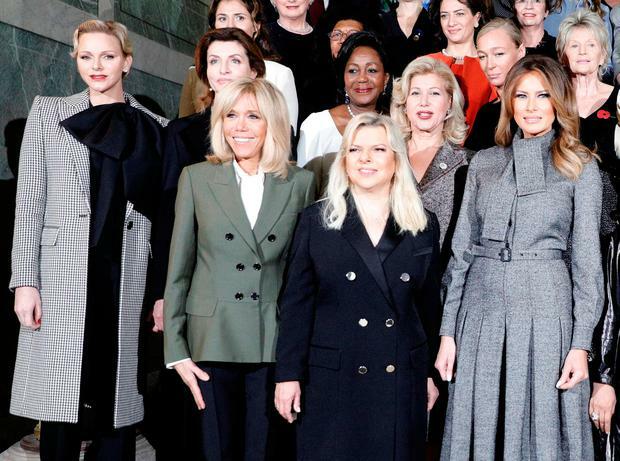 Under grey skies and gently falling rain, many heads of state joined Mr Macron in walking the last stretch of the Champs-Élysées to the Arc de Triomphe, where the ceremony was held. Mr Trump and Mr Putin arrived slightly later in separate motorcades. In a 20-minute address delivered beside the tomb of the unknown soldier, Mr Macron described the “unimaginable hell” of those who fought in the trenches, denouncing the nationalism that fanned the flames of war and now shows signs of resurgence. He spoke bluntly of the threat from nationalism, calling it a betrayal of moral values. Mr Trump, who has proudly declared himself a nationalist, sat stony-faced, but smiled broadly as he exchanged a handshake with Mr Putin, who flashed him a thumbs-up sign. The US president’s cordiality towards his Russian counterpart – despite alleged Russian meddling in the 2016 US election – has alarmed western European leaders who see Russia as a growing threat. The event marked the centrepiece of tributes to honour those who died during the war and to commemorate the signing of the Armistice that ended the fighting at exactly 11am on November 11, 1918. “The lesson of the Great War cannot be that of resentment between peoples, nor should the past be forgotten,” he said, alluding to the millions of women widowed and children orphaned by the conflict, as well as the 10 million soldiers killed. Around him, former French soldiers stood rigidly to attention. “It is our deeply rooted obligation to think of the future, and to consider what is essential,” Mr Macron said. The 90-minute commemoration included the reading by children of letters written by German, French and British soldiers during the war, a recital by cellist Yo-Yo Ma, and a moving performance of Maurice Ravel’s ‘Bolero’. In the afternoon, Mr Trump travelled to the Suresnes American Cemetery, just west of Paris, to speak to veterans. He pulled out of a similar ceremony east of Paris on Saturday due to the weather. “It is our duty to preserve the civilisation they defended,” Mr Trump said of those who fought in World War I. “We renew our sacred obligation to memorialise our fallen heroes” at the cemetery, “where they rest for all eternity,” he said.